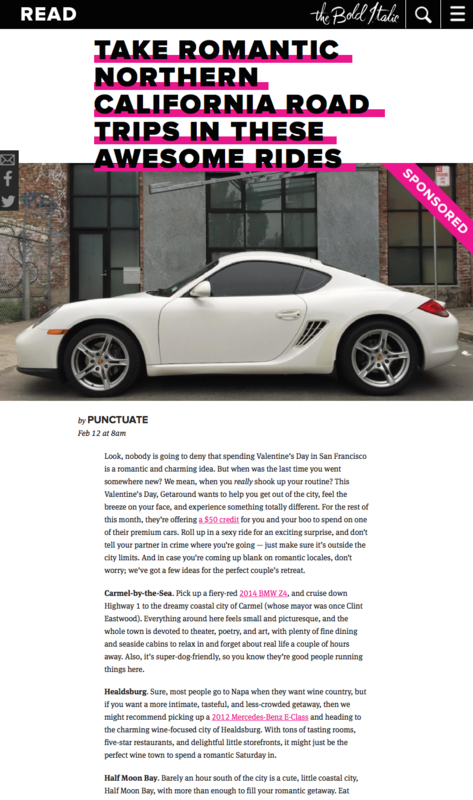 At Getaround, we were always trying to find ways to get our users to drive more cars, more often, and this included inspiring people to find creative ways to use Getaround cars. 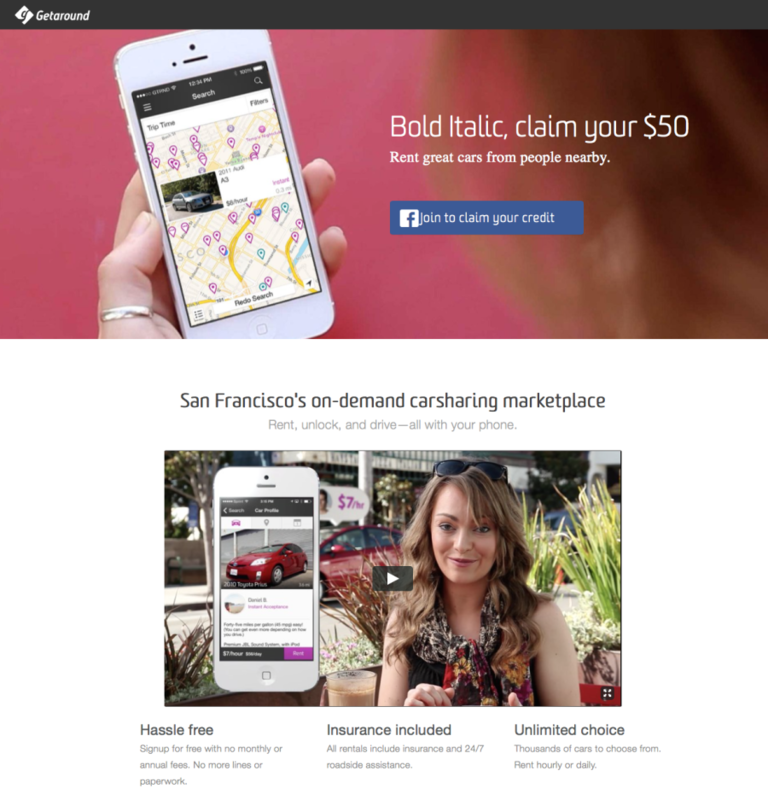 Getaround also likes to get people to rent luxury vehicles because they are the most profitable. Valentine’s Day presented the opportunity to meet both objectives. 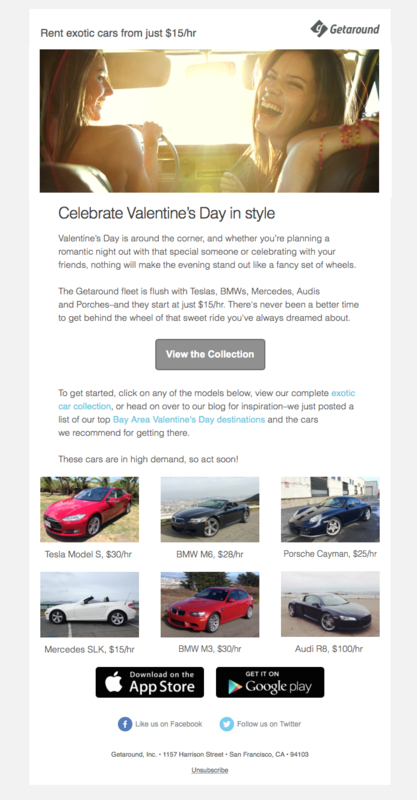 The activation campaign was a call to action to make Valentine’s Day extra special by renting a luxury car. Because men and women experience Valentine’s Day in different ways–the burden to make things feel special is often on the man–I thought that the idea of renting a luxury car to impress a woman would appeal to men. At the same time, we didn’t want to exclude women, who have unique motivations of their own. So, I came up with two different emails, one appealing to each gender. I tested both emails against a gender-neutral email before sending to our full audience so that we could be sure any performance differential could be attributed to differences in content and messaging. 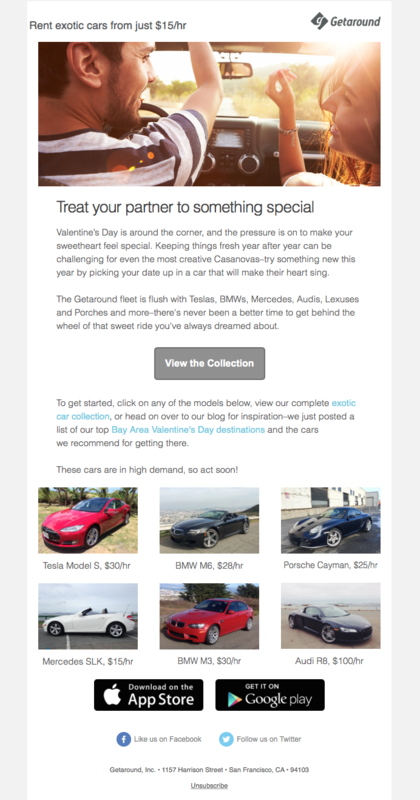 For acquisition, we sponsored a Bold Italic blog post with Valentine’s Day getaway ideas, and we drove our existing users there via social media for inspiration.